I roll into the carpark behind The Oddfellows Arms in Keswick to meet the ever psyched Graeme Read. It’s the night before our challenge and we are eager to finalise preparations and get our heads down. 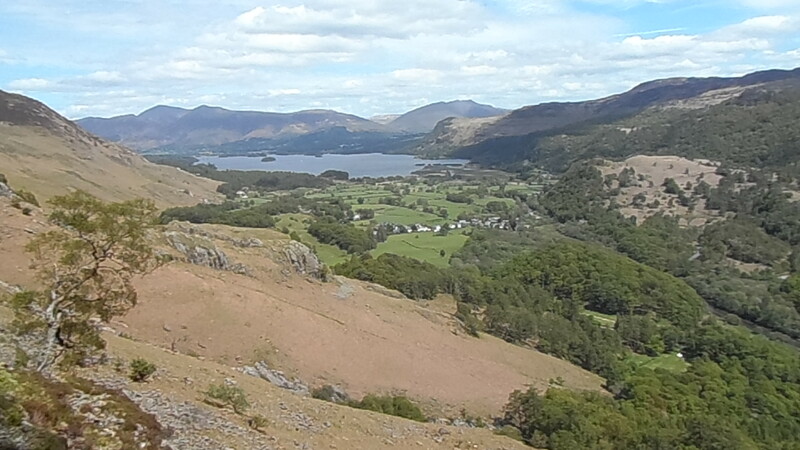 Our challenge is to climb all of the three star climbs in the Borrowdale Valley graded at Hard Very Severe (HVS***) in one single push. 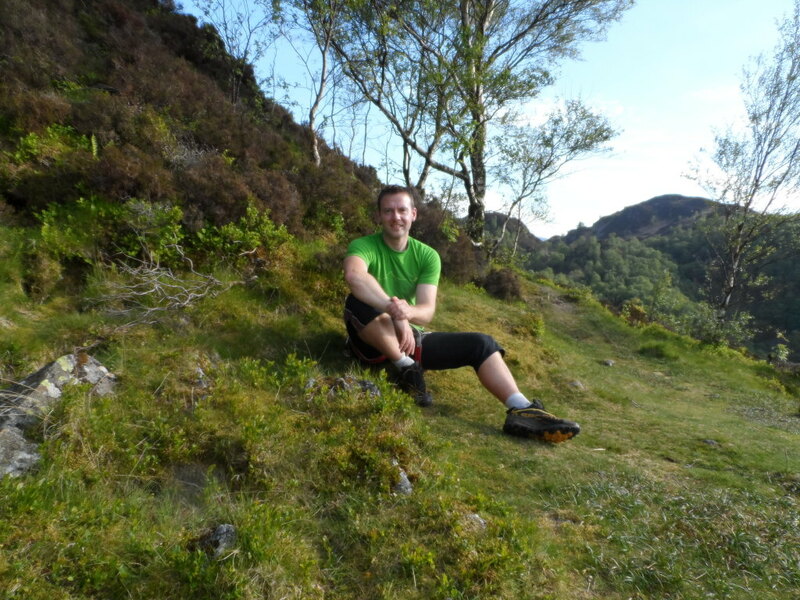 This feat of endurance would involve climbing 11 routes with 21 pitches totalling 33 stars and 595 metres of climbing at 8 Borrowdale mountain crags separated by a distance of 22 miles- all of which would have to be travelled to by foot. We had given ourselves no more than 24 hours to complete. We sit down with a burger and talk through our exact route and where to stash food. 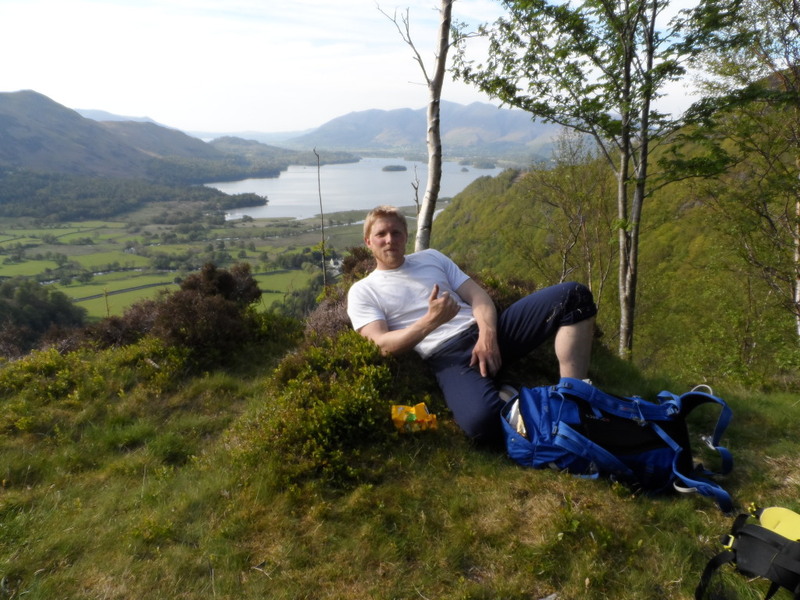 The plan was to start in Stonethwaite and end at Shepherds Crag on the aply named ‘Finale’. 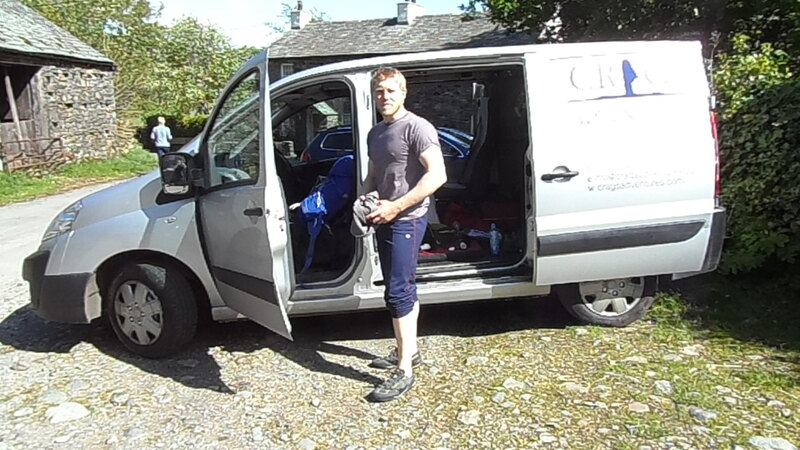 Once in agreement we purchased the food stash and drove to Reecastle to hide some in a dry stone wall, we also hid some at Quayfoot Buttress and then drove further down into the jaws of Borrowdale to Stonethwaite, dropping Graeme’s car off at the Marymount Hotel on the way. We were now ready so we allowed ourselves a half in the pub before sifting through our kit in the van deciding what to bring and what to ditch – we wanted to go as light as possible. With the bags packed we settled down for the night in the van. The alarm sounds at 4.30am. It’s the 4th June; the day of our long awaited challenge. This is it! I peer outside to see it’s a clear, star studded sky. Looks like our forecast of perfect weather was accurate – we had lucked out. A quick banana and an energy drink and we were off. I was pleased to see that my decision to wear my trusty Ronhill’s in front of another Geordie was one that I wouldn’t later live to regret as I spied Graeme was wearing similar and his were definitely tighter! It was a cool morning and we both made the same mistake of ‘setting off warm’ wearing one too many layers. With the sun quickly rising in the sky it didn’t take too long realise our mistake. We were soaked in sweat as we wound our way up the valley following the Langstrath Beck into the Stonethwaite Fells. Once at Sergeant Crag Slabs we wasted no time racking up. I was hugely excited and ready for action. It was such a pleasure to be alone on the fells at such a beautiful time of the day. It’s great to watch the mountains around you slowly wake up as the golden sun starts its morning dance across the mountain tops and into the valleys. We had not been so slow to rise and this eagerness was rewarded with this great spectacle. I quickly set off on the first route of the day – ‘Lakeland Cragsman’, not wanting to linger too long as I knew the sheer scale of what was to come and I wanted to get these first routes under my belt. Unfortunately I seemed to be a bit slower & rustier than expected, I put this down to “first route syndrome” but in all honesty it was more to do with my lack of personal climbing due to me having a mega busy season of “work” so far. I also had the excuse that I had opted to wear my flat, non-aggressive comfy shoes as I knew I would be wearing them all day. 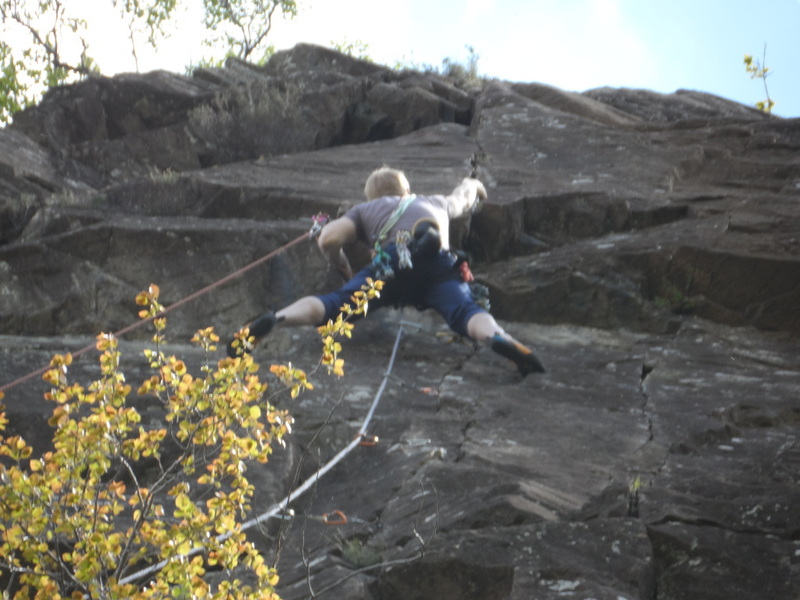 I made up for my slow ascent by being extremely organised with the ropes. I had arranged the belay in such a way that I could lower Graeme straight to the floor and I was already set up for abseiling off after him. This meant we were quickly into our second route only a couple of minutes after topping out on our first. 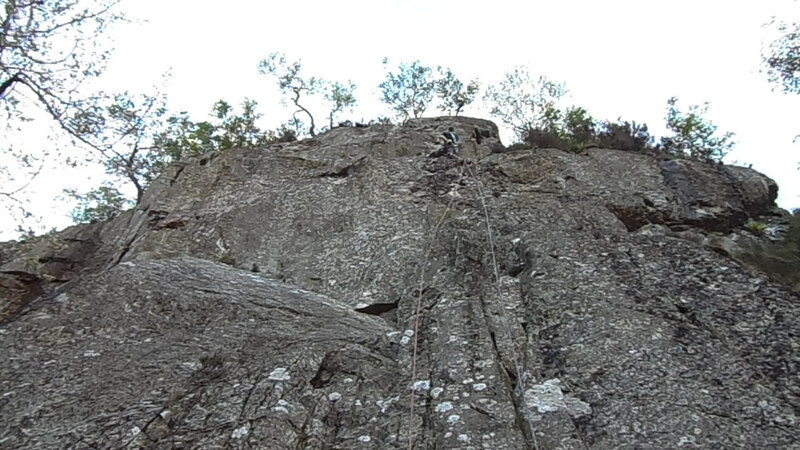 Graeme flew up his route ‘Terminator 2’ and I followed, then we were back down for my lead of ‘Endurance’. By this time I was back in the swing of things and I raced up this perfect slab of rhyolite. It was almost saddening to be in a rush on such pristine rock, I wanted to soak it all in and take my time. We were back down and racing to our next crag with 9 stars ticked before most folk would even be having breakfast. Once at Bleak How Graeme set off up ‘The Reiver’ with me in hot pursuit and within minutes it was behind us and we were heading back to the van at Stonethwaite. At the van we ditched our extra layers, ate another banana and some jelly babies and headed off on foot on our mammoth leg to Goat Crag. I suggested how much easier it would be to drive to the crag, Graeme laughed it off but I was deadly serious, for me it was all about the climbing, however, for him it was the full challenge. I actually felt quite bad for suggesting we drive, but it was a massively hot, sunny day and anyone who knows me will understand how badly I deal with heat. I spend 12 hours a day in 4 degree water and I live in a house with massive deep, cool stone walls without insulation or double glazing. The trudge to Goat Crag seemed to go on for an age. The sweat was running down my face into my eyes and mouth, contaminated by sun cream, it burnt my eyes and left a bitter taste in my mouth. Once we had scrambled up to the start of the route Graeme tied in and set off up it. I was so glad this was Graeme’s lead. The route is called ‘DDT’ and it seems to me to be a massive sandbag. 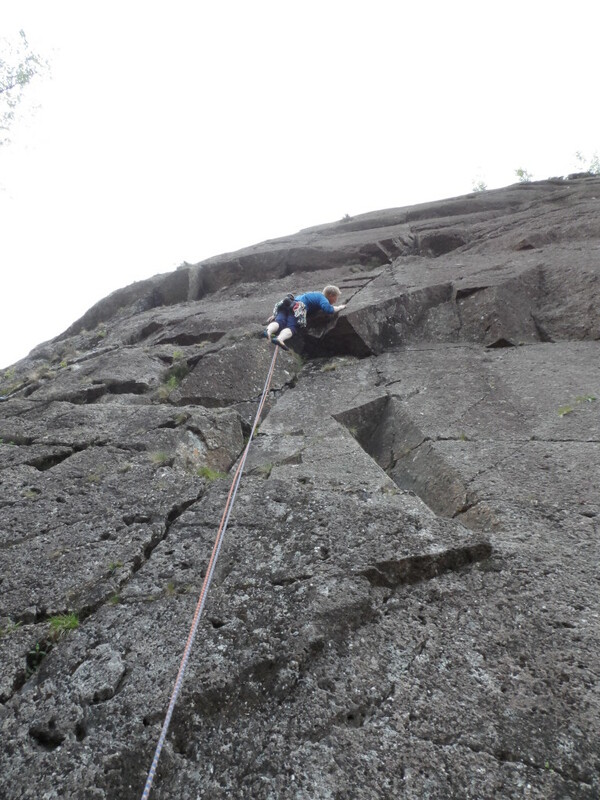 Even Graeme (who has not only climbed but also created numerous routes up to a grade of E7) was taking his time. The route has a bold start and the crag has a serious feel to it due to it being on such a high/steep mountainside. I didn’t feel very secure or in control seconding it and I was on a rope! My shoes were nearing the limit of what they are made for on HVS. I was cursing myself for not bringing my Muira’s – my usual all-rounders. When we topped out on this I knew the crux route was now in the bag along with the worst leg of running. 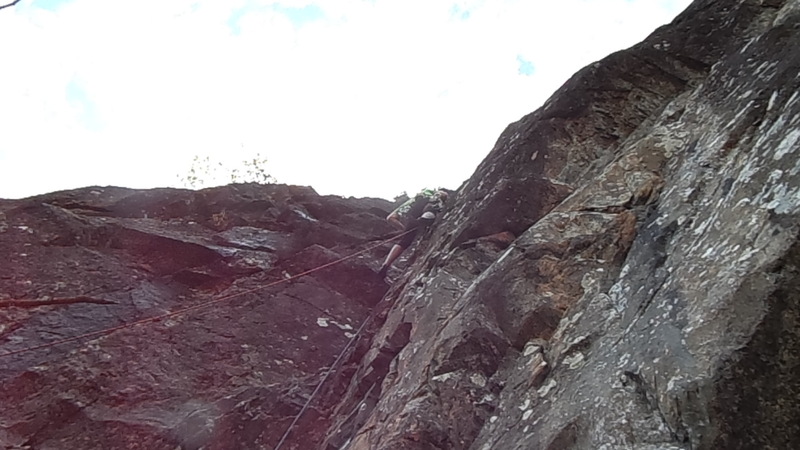 I felt so much closer to achieving our goal; however, I knew we still had two long routes at Black Crag. Until these were in the bag I didn’t want to get too cocky. 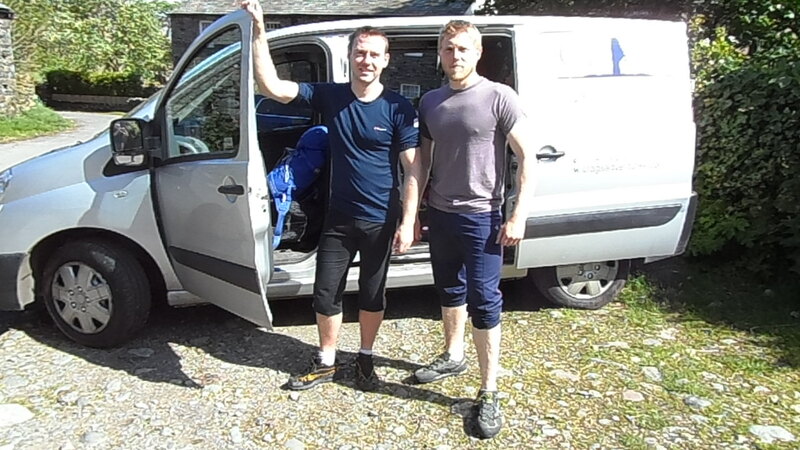 We legged it down to the valley, took off our socks and shoes and waded through the river to get to Quayfoot Buttress – our next crag. Coming to a river of cold water was too much for me to resist and I cooled myself off. With this came a great feeling of renewed energy, I felt alive and up for anything. Just as I thought things couldn’t get any better I remembered we had stashed food here. I unearthed my sandwiches and rammed them down my throat along with a mars bar and an energy drink. A mouse had tunnelled into Graeme’s sandwiches. I nearly cried laughing. I hindsight I should of offered him a bite of mine but it was much funnier just letting him watch me eat. I was up and I led ‘Mandrake’. It’s a two pitch route but I just strung them together to speed things up. It’s a great route which has a great finish over a roof. Again I was arranged so that as soon as Graeme arrived at the belay I could just lower him and I was already set-up to abseil down. Once down we realised we were over the halfway mark and that we were off to Black Crag next. This was the last big push as far as I was concerned as it had two big routes. Once this was done we would be on the home straight. Part-way up to Black Crag my psyche crashed and I was getting tired. I had a good 15 minutes of feeling beaten, however, I kept my weakness to myself and once we started up ‘The Mortician’ I quickly stirred back to life and I was loving the challenge again. On this route while Graeme was leading a pitch he knocked a decent sized rock down and it missed me by about 4 inches. I couldn’t believe my 50/50 decision to sit to the left of a pointy rock instead of the right had potentially saved my life; as stupidly we had left our helmets at the car to save on weight – a lesson learnt! At the top I caught up to a party in front of us. 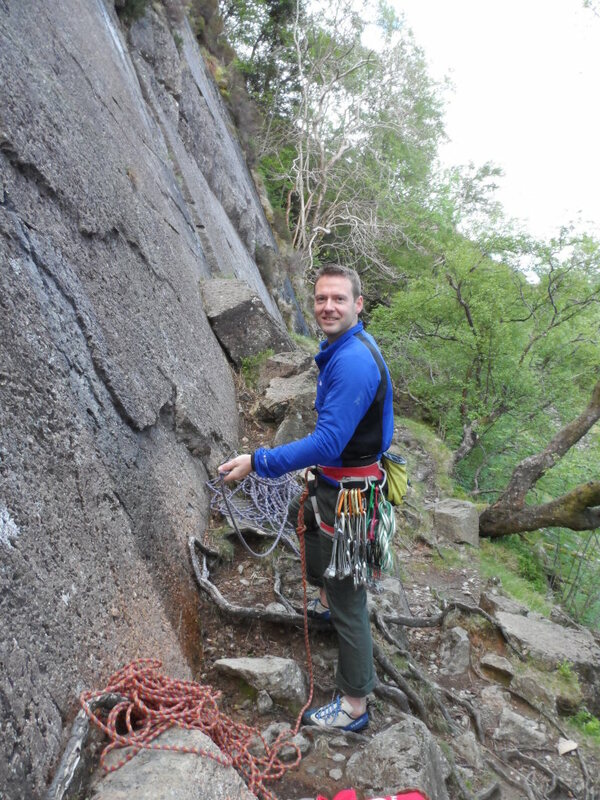 I was sat body-belaying, attached to nothing to speed things up and without a helmet on – I was devastated to find that amongst the group I had caught up with was a previous customer of Crags Adventures. I did a poor job of defending myself and strongly advised never to copy what I was doing. Once Graeme reached me we ran back down to the base and I set off up ‘Troutdale Pinnacle Super Direct’ – I now felt unbelievably energetic, I was shaking I had so much excitement running through me, unfortunately in my excitement I had started up the wrong route and had to re-trace my steps and start again. You have probably guessed who witnessed my error. Yes my previous customer! It was a bad marketing day for Crags Adventures and needless to say I have never heard from her since. Graeme topped out via the routes famous finger traverse – and I must say it lived up to its reputation. Stella climbing! This was now it, the home straight! Only three more routes to do! We relaxed for 5 minutes in the sun at the top and had a snack and a drink and then we were off over the tops and down into Watendlath Valley, I had to remove a few ticks from my legs along the way. We had made it to our final stash of food and the impressive crag of Reecastle. We ate our remaining sandwiches and headed up to the start of our route – ‘The Rack’. There was already a party on our route so we had a welcome rest and chatted with the members of a local climbing club. I really hit a brick wall here. I felt like I was now only there for show. I gladly let Graeme lead and I followed like a broken man. I was so glad to abseil back down. 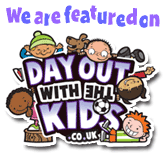 We had now run out of water and I felt unbelievably dehydrated. I was running on empty as we headed on another decent leg of running to our next crag. 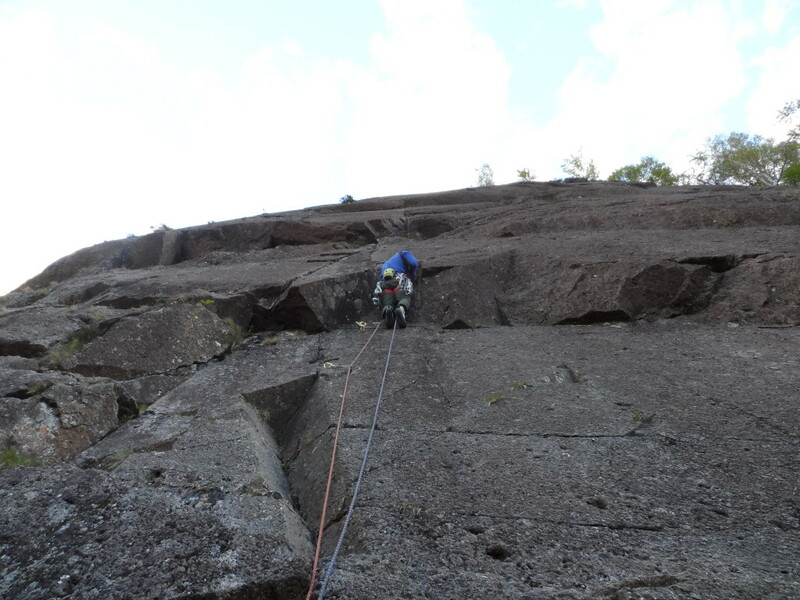 We reached Low Falcon Crag and racked up at the base of our next route – ‘Illusion’. 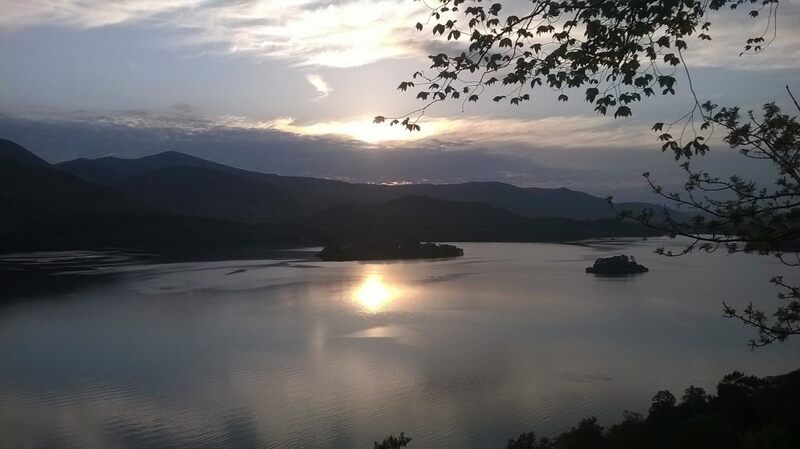 I looked out across Derwent Water and the setting sun. It was absolutely beautiful. Graeme set off up the route and I stared out at the cool wet lake, my mouth was so dry and I was so hot. All I could think about was diving in the lake. I was in a complete trance; captured by this unbelievably beautiful moment as the evening glow lit up the still lake and cast a perfect reflection of the neighbouring fells onto the water. This reflection was interrupted by a boat filled with a laughing family. It looked miles away but I could hear them as though they were right next to me. They looked to be having so much fun, my thoughts turned towards my girls and Vickie who were at home probably heading to bed. I realised I had not text to say how I was getting on and that they would be worried so I reached for my phone in my bag and then as I squinted my tired eyes to focus on the screen…… blackness fell upon me…… I was asleep. A jerk on the rope startled me and dragged me from my brief moment of weakness. I was still holding the ropes. I must have only drifted off for a second or so but I thought it best keep this to myself seen as though Graeme was approaching the crux move! I couldn’t wait for him to finish so I could get moving again and wake up. The route was by far the best of the day for me. I absolutely loved it. It traverses some unlikely looking ground in some impressive positions. What a great route to experience in such a great setting. We wasted no time getting back down; it was now dusk and the light was fading fast. We had not brought head torches as we were sure we would finish it in 14 hours, however, we were now approaching the 18th hour and we had one leg of running left to Shepherds Crag and one route still to do. We had no time to waste and so set off with a huge sense of urgency. In our urgency we split up and I found a massive short cut. I sat at the crag for ages waiting for Graeme. I bumped into two older climbers I know who were finishing up after having a nice peaceful evening climb. I never even had the energy nor the time to explain. If only they knew. We were now standing at the bottom of our last route and it was now very dark as the base of the crag is covered by trees. I was confident we would top out with enough light to abseil off safely once we got above the trees. We had saved this route till last as it is called ‘Finale’ and it seemed the right thing to do, however, it’s quite steep and strenuous – especially this late in the day. One last push and we were up. I yelled with happiness. It was done; and unbelievably we did have just enough light to get back down safely. We searched around with fumbling hands in the blackness trying to pack away our gear. We had finished within minutes of it being pitch black. We were so lucky. I hadn’t fancied our chances in the dark without a torch. We made it down through the forest falling and tripping over boulders completely blinded by the night. Once on the road we hot tailed it to the Marymount Hotel to pick up Graeme’s car, but more importantly to have a well-deserved pint, however, ale was the last thing we wanted. I was salivating over the thought of a pint of coke. I hadn’t touched any fluid for hours. Finally we arrived at the pub and collapsed at the bar. Last orders had already been called; however, the barman took one look at these two broken men and complied with our demands without even questioning us. I swear this coke was the best thing I had ever tasted. This was made even better by the fact that due to our plight he gave us them for free along with a bag a crisps. I could have kissed him. Once finished we limped out to the car and drove back up the valley to where my van was parked. We said our goodbyes and I flopped into my van and started her up. I was devastated I had a 45 minute drive home, I was sure I would fall asleep, suddenly I thought of poor Graeme with his 2 ½ hour journey home and I felt OK again. I looked back on our amazing day and smiled. It was a huge blur in my sorry state and I could barely remember setting off that morning. It felt like a lifetime ago. My romantic thoughts of mountains, crags and the setting sun were quickly dissipated as I saw Graeme driving down the valley with his boot fully open! Hahahaha! Excellent!